I didn’t get the chance to do as much work as I would have liked on the Little Sister Dress over the weekend due to Eva’s very busy schedule. She spent the better part of two days visiting her grammy. 🙂 All that dancing, eating, coloring, and playing sure tuckered her out. I have a feeling she’ll be spending most of tomorrow recovering. I managed to get through most of the yoke, though. 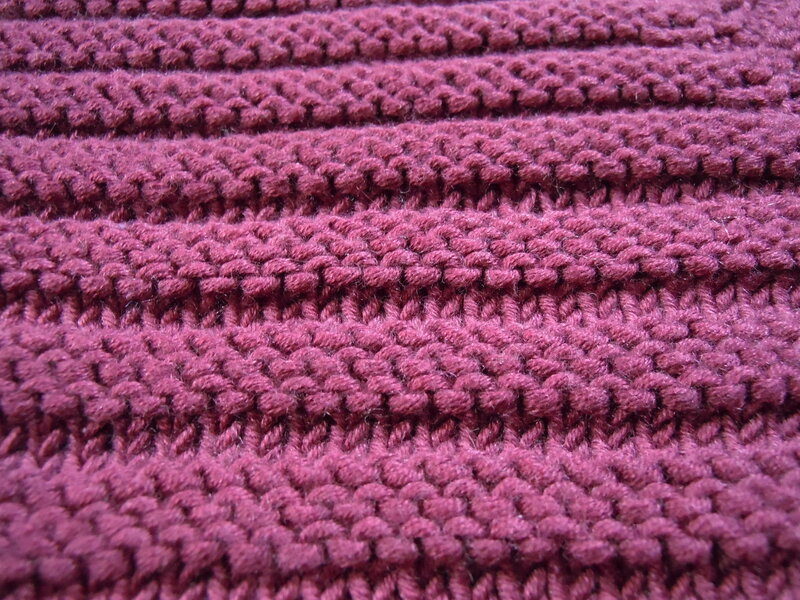 I’m on the last repeat, and once that’s done, I’ll be binding off the sleeve stitches. Boy will I be happy to see them go! This thing is huge! Right now I’m magic looping it on a 60″ cable. 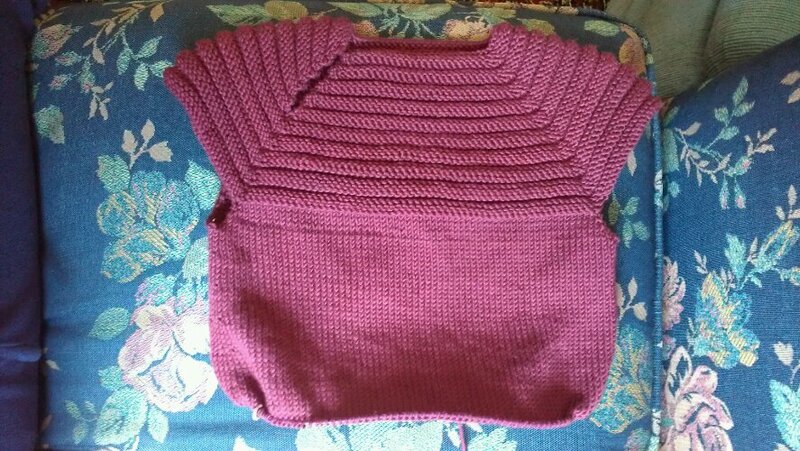 I’m hoping that once the sleeve stitches go, it’ll fit on one of my shorter cables so I can knit uninterrupted. 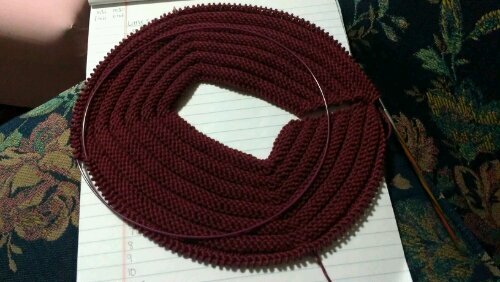 I’m also hoping I’ll be able to pick up speed while working on the skirt portion. 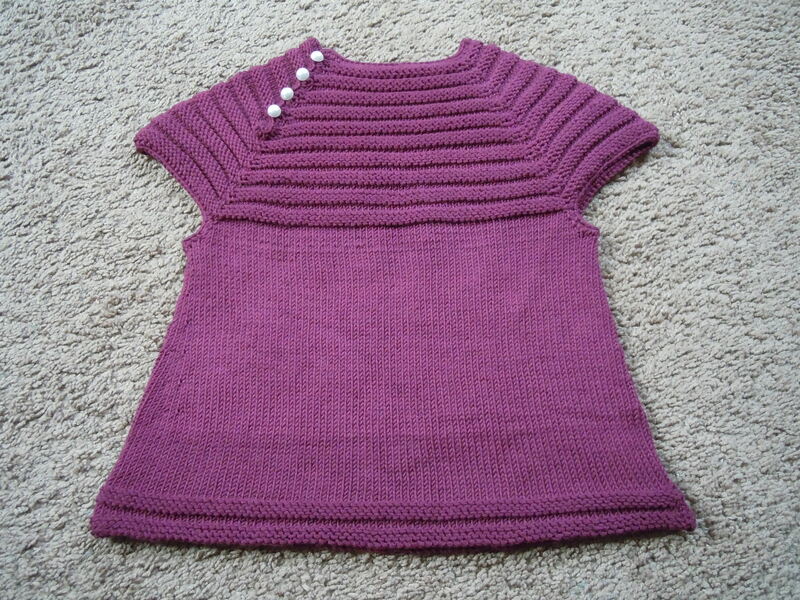 I’ve got a lot of little clothes to knock out in a short amount of time! I’ve joined for working in the round, but I haven’t yet hit the part where the sleeves are bound off. So far I’m liking how it looks. 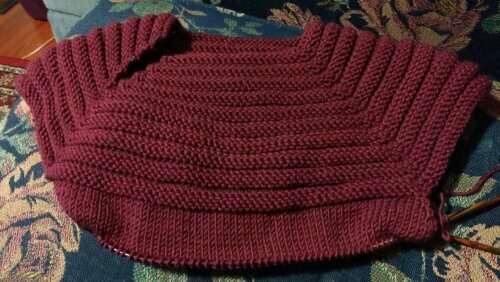 Judging by how big it already is, this will be a dress that’ll fit in the winter, which is fine by me. I bet it’ll look really cute over top of a white, long sleeved onesie and tights. 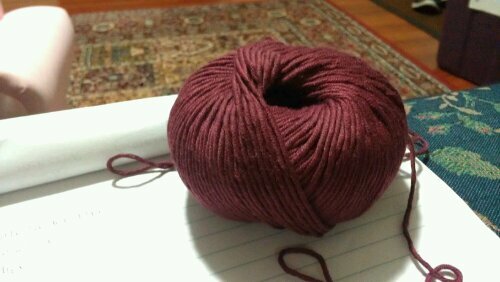 I’m so glad I bought four balls of yarn instead of three. 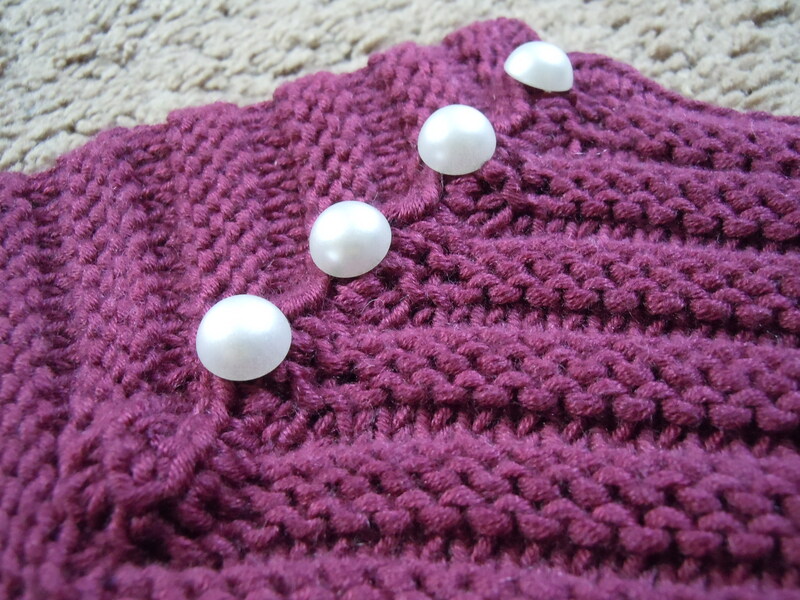 I’m almost through the first ball, and I haven’t even finished the yoke! Well folks, I couldn’t stare at that fuzzy mess any longer. I frogged the Rainbow Baby Cardigan, and I enjoyed doing it. Life is too short to knit with bad yarn. I have no idea what I’ll do with the Chroma in my stash, but I can tell you this – it will not be used to make ANY baby things. Now that that’s out of the way, I had to start something new. I’m making a little dress for Baby #2! 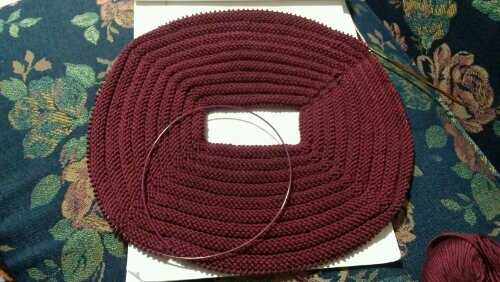 I’m using bigger yarn and bigger needles than specified in the pattern, so I’m hoping the dress turns out a little big. I want her to be able to get more than 2 weeks’ use out of it. 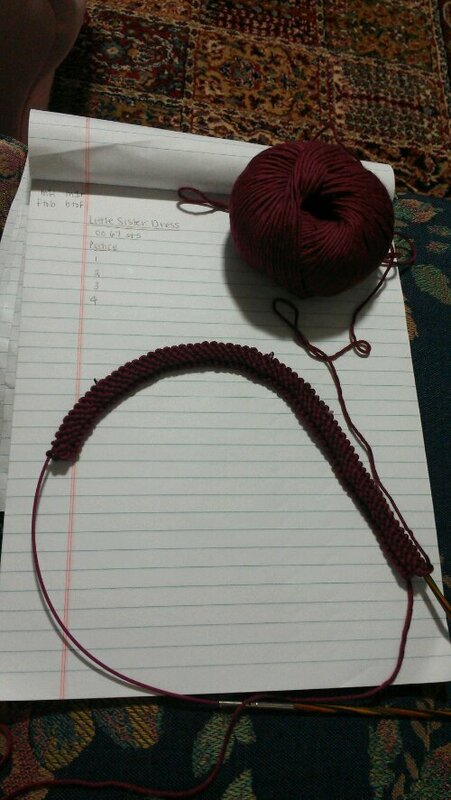 This pattern doesn’t look too complicated, so I’m hoping it goes quickly. I have tons of stuff to finish before May arrives!